Questions about NBC's internal investigation into Brian Williams are mounting, but the network won't be announcing any decision about the anchorman's future for several weeks, a person involved in the process said Sunday. A decision is still "weeks away," said the person, who was seeking to blunt media speculation that a conclusion to the ongoing controversy is imminent. Such timing would mean that an announcement about the future of the "NBC Nightly News" would not be made before NBC's annual "upfronts" presentation to advertisers. That is scheduled to take place on May 11. Industry insiders had been predicting that NBC might want to make a decision about the future of the "NBC Nightly News" before the advertiser meeting. Williams has been on the bench for nearly three months, suspended without pay because of a scandal about his exaggerations relating to an Iraq War mission in 2003. Lester Holt has been filling in. Williams' suspension is scheduled to end in August, but NBC has not promised him his anchor chair back. Many people inside and outside NBC believe Holt -- or another anchor -- will ultimately end up with the coveted job. Without any concrete information or comment from NBC, there has been rampant speculation within the television industry. NBC's internal effort to fact-check Williams, which is being led by Richard Esposito, the news division's senior executive producer in charge of investigations, is still going on, the person involved in the process confirmed. CNNMoney reported on Saturday that Esposito's team has documented at least 10 instances of exaggerations and embellishments by Williams. Lack and NBCUniversal CEO Steve Burke were briefed on the findings on Thursday. Once the fact-checking concludes, Lack and Burke will formally decide whether to reinstate Williams. Even at that point, a decision won't be announced right away. NBC will either seek to have Williams step aside gracefully, or have him prepare some sort of public apology as he returns to work. 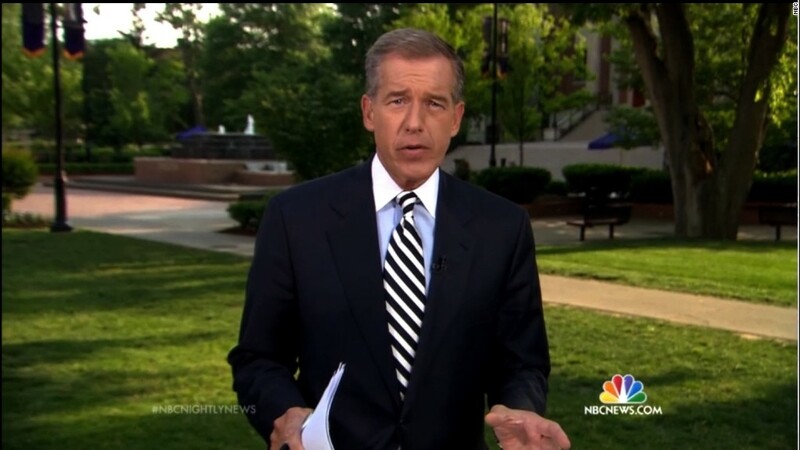 Williams has not been allowed by NBC to defend himself or say anything publicly during his suspension. His attorney has declined to comment, and so has NBC. But Lack and Williams did meet privately earlier in the week, prior to Thursday's briefing about the investigation, according to the person involved in the process. Separately, the Los Angeles Times reported on Sunday morning that "a decision on Williams' fate is still at least five weeks away." That information was attributed to "an executive close to the matter."